Endurance events are a great opportunity to fundraise and spread awareness for a cause. Current trends to stay fit and live a healthy lifestyle have fueled participation in physically challenging events. 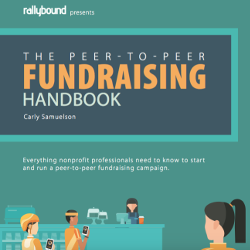 Nonprofits can use this as an advantage to attract new supporters by making endurance fundraising available as a fundraising option. Here are a few ways nonprofits can recruit and retain supporters for endurance events. Start by inviting your top fundraisers, most dedicated volunteers and supporters interested in challenging physical activities to participate and fundraise for your endurance event. They will be the team captains, leading fundraisers and people that bring the most momentum to your campaign. Chances are that supporters interested in endurance events also have third party marathons, triathlons, etc., on their calendar – encourage them to use those events as an opportunity to fundraise for the organization. This is a great option for endurance enthusiasts, that want to turn their passion into giving back. Even if a nonprofit does not provide a branded endurance event option, supporters can still fundraise on behalf of the nonprofit. Let’s say a supporter has already begun training for the next Chicago Marathon and wants to use this opportunity to fundraise. Providing the DIY option empowers the supporter to create their very own fundraising page, share their story, training updates and goal progress. Fundraisers love having the autonomy to fundraise how they choose. Rallybound’s DIY pages have simple registration and setup, making it fast and easy. This is a great way to recruit new users to the organization. Another option for nonprofits to take part in endurance fundraising is by creating a dedicated campaign for a third party event. 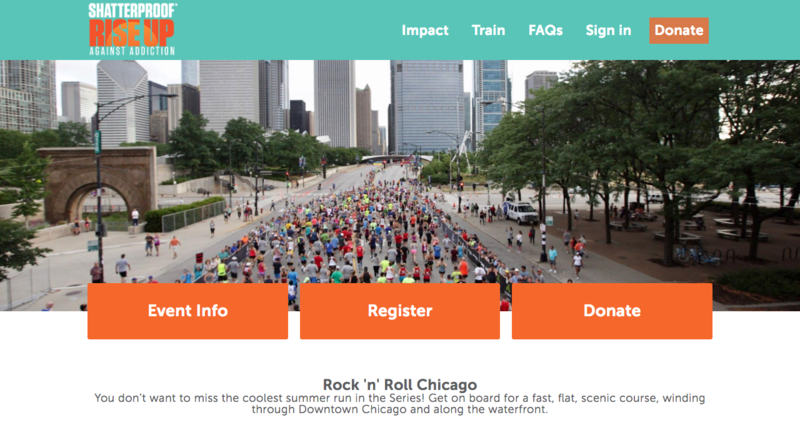 For instance, if a nonprofit sees that in a previous year that 15 different supporters created DIY pages for the Chicago Rock-n-Roll Marathon, it would be a great idea to create a dedicated campaing for that event. This way all returning supporters can easily use the campaign page to register, and it will make it easier to sync the data on the back end to track in the CRM system. Here’s an example of a dedicated campaign by Shatterproof for the Chicago Rock-n-Roll Marathon. One of the most important elements of donor retention is having satisfied and happy donors. Fundraisers put in a lot of time effort to train and fundraise for endurance events. Making sure they have a positive experience is very important. It’s the small gestures that are part of personalizing fundraising such as email messaging, appreciation, encouragement and badges that can play a huge role in the fundraiser’s experience, and will want them to return the next year. Nonprofits can initiate a positive fundraising experience for supporters of all experience levels through motivation, providing the right fundraising tools and encouragement. This can begin a great relationship between new supporters, and increase the chances of them returning for the next event.